This 10,000 sq. foot home hit the market for $7,999,900 just over two months ago. Its exclusive location at the end of Manhattan Beach’s only private cul-de-sac, further highlights just how extraordinary it is. Built on a double lot, the home features a movie theater, crafts room, full maids quarters and a wine cellar. With one of the largest pools in the city, coming in at approximately 46’ long, the backyard is the perfect compliment to this single family home. 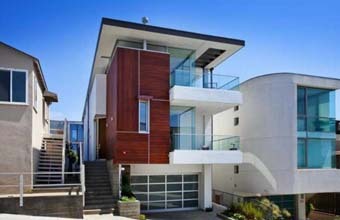 Its contemporary and sleek design is what sets this home apart from the other homes that are currently on the market in Manhattan Beach. Conceptualized by architect Michael Lee, this 4,000 square foot (estimate) home is built for its views and maximized for entertaining. The garage opens out into the backyard that has a fire pit and outdoor shower. If you're looking for the ultimate fuse of indoor/outdoor living, this is the place for you! 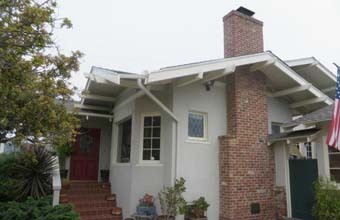 Located in the Hill Section of Manhattan Beach, 828 Highview is on a corner lot and features huge ocean views. The home itself is just over two thousand sq. feet. The original wood floors are still in the home and the exposed beams bring depth and warmness to the living space. Priced at $6,350,000 for its location and views, it's the perfect opportunity for anyone looking to get their hands dirty with building and designing their new home. 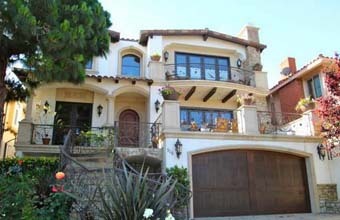 This Mediterranean home is a quick walk to the beach and downtown. Listed for $4,895,000, it has over 5,000 sq. ft. of living space. With six fireplaces throughout the home and a private covered patio that also has its own built-in fireplace, it’s the perfect property for anyone that loves to entertain. The large backyard with lush green grass and trees further highlights the potential for great dinner parties and entertaining. awesome interior designs ideas, thanks for sharing. I like to give a thumps Up!